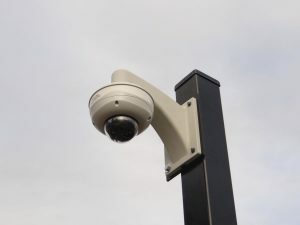 Security is a very important thing for any residential apartment or commercial establishment. It is impossible to feel at ease when there is no security, or if the security systems in place are substandard. “Electric gates provide that security” by ensuring that only those required in the building have the access. 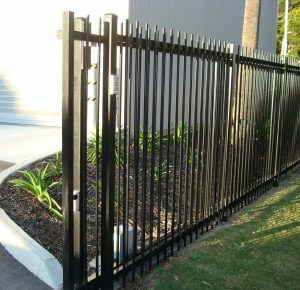 Industrial security Gates safeguard the private premises and ensure that these premises are secured, no matter the size of your parking space, driveway. For those who find the security of their premises important, there is a solution for every situation. 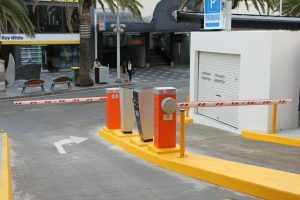 Electric gates are one such solution and, recently, there has been a steep incline in the number of people opting to move from their old commercial gates to these new electrical-powered devices. The first electric industrial gates system was designed with reliability in mind and used hydraulics to power it up. But with how high the cost of hydraulic systems were, many companies began to tinker and develop alternative systems that are a lot more affordable. Recently, there has been a decrease in the cost of installing the automated electrical options on residential and commercial gates. There are also other additional kits, apart from the basic, DIY kits sold, that can add many other features to not only ensure security but make these automated machines convenient as well. Our after care services ensure that you have a problem free solution to your business security gates. The backbone of any electrical industrial Security Gates—whether they are automatic or not—is its electric gate motor. The electric gate motor is the device which enables the electric gate to open and close, unlock and lock itself, without having to manually do so. Regardless of the type of electric gate, you can be certain that they use one type of motor or another—and there are many types, most of them being offered and produced. Security is one concern for businesses, along with the convenience of automation. Boom gates are just one of the solutions. You would still need to make use of electronic locks for that, as they help boost the locking effectiveness of the gate motors. Along with security cameras that link to the main security office. It has always been recommended to use electric commercial gates in conjunction with other security features you can install, like: closed circuits security cameras, electronic keycards and lockpads. Some even employ additional security guards or add another gate in conjunction with their primary entrance. Our gate sensors determine when there is an obstruction to prevent the electronic gate from swinging into a vehicle or closing on somebody’s hands. Likewise, speed bumps are also put in place to prevent the gates from being damaged by irresponsible drivers. It is, therefore, always good to remember that one should always assess the risks to ensure that the gates are fitted with appropriate safety devices. For more information on Industrial Security Gates request a quote or please contact us.